In recent years, the “new public sector,” has emerged which expands the definition of public service administration from the government sector to include nonprofits/NGOs, educational institutions and private companies. Because the end goal involves bettering the public good, one person at a time, it’s of vital importance that new public sector organizations maintain the highest of ethical standards. Rather than leaving the monitoring of ethical behavior in the workplace entirely to management, it can help to hire what’s called an ‘in-house health care quality professional’ to oversee and monitor ethical culture. And the American College of Healthcare Executives (ACHE) Ethics Toolkits outline the decision-making process and includes the Ethics Self-Assessment Tool to help with monitoring behavior within departments. It’s crucial that our public centers for healing and community organization be run in an ethical manner, lest people feel less-than-safe in their care and management. 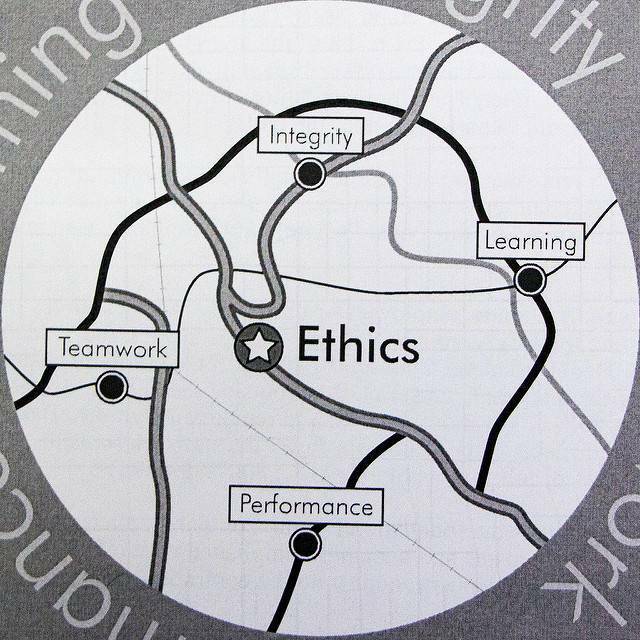 Maintaining an ethical framework requires leadership that leads by example. What are some examples of ethical principles behind excellent public service? First, keep in mind that the public interest should always be at the top of your priority list: for example, government processes should always be transparent, balancing the interests of each constituency against the interest of the community, as a whole. Moreover, you should avoid partisanship, remembering that integrity and accountability are of the utmost importance. Other ethical principles include fiscal responsibility when dealing with community-owned public resources, observance of local laws and regulations, and the promotion of social equality. If you are honest and transparent with public funds, it should follow that you support regular audits and investigations. Moreover, a belief in the law includes support of the constitution as well as dissent, in the event that a whistleblower reports mismanagement or corruption, in public office. And leaders should always respect individual differences, regardless of differences in background or opinion. One excellent example of a scenario with a lot of potential for individual differences in opinion is the inauguration of a new president. In addition to political differences, there are also the changes in healthcare policy. NYU’s Rory Meyers College of Nursing Dean, Eileen Sullivan-Marx, warns “This period can be fraught with policy mistakes or adoption of new policies that have unintended consequences…” As a result of this added uncertainty, Sullivan-Marx encourages healthcare professionals to look to medicine’s ethical framework and principles—for example, the American Nurses Associations (ANA) Code of Ethics—when faced with a situation with a number of possibilities that aren’t clearly defined. There are a number of scenarios in which ethics could become a necessary deciding factor in the ultimate outcome—such as when patients don’t understand the difference between beliefs or opinions and facts or evidence. The public’s willingness to engage with the evidence in a given situation could be connected to their personal or religious belief systems, making it challenging for medical providers to help patients benefit from healthcare treatments without extensive convincing. "[T]o respect persons and provide for meaningful informed consent, to achieve better health outcomes, to support effective stewardship of public resources, to enhance the just distribution of the benefits gained from health care and health research, and to build public trust." Of course, this is easier said than done. The article also proposes three specific strategies for managing conflicts in values: advancing community-based research; facilitating community involvement in the governance of learning systems; and utilizing evidence about cost and quality. A great example of an ethical breach of conduct is the Seattle Times’ story about Providence Health & Services that details the various ways their Swedish-Cherry Hill campus managed to generate “[H]alf a billion dollars in net operating revenue in 2015—a 39 percent increase from just three years prior. It also had the highest Medicare reimbursements per inpatient of any U.S. hospital with at least 150 beds.” While that looks all well and good on paper, it seems unethical for patients to undergo surgeries that are unnecessarily invasive, as opposed to being offered the least invasive option. Even more concerning is the possibility that a certain doctor performed unnecessary surgeries but was still promoted to a top leadership position. If the opportunity to get involved with healthcare-related ethical decisions or policies at a high level appeals to you, then a position in healthcare or public administration may be ideal for you. Read more about the code of ethics for healthcare quality professionals here, or get in touch with an administrator at the public policy or healthcare administrative level to see if you could sit down with them for an informational interview, or request a brief job shadowing, for part of a day. Also, the Code of Medical Ethics was recently modernized for the first time in fifty years! Are you aware of a recent case of ethical decision making or a breach in ethics at the hospital administration or local government level? If so, please share your experience in the comments section, below!